While it may seem ridiculous now to think that Nephrite’s one-time lover could be the latest Sailor Soldier to join the team, at the time the idea wasn’t outside the realm of possibility. Up until then, the Sailor Soldiers were slowly joining the team in a bit of a random fashion – Mercury, Mars, Jupiter, and then Venus – so it wasn’t necessary obvious to fans in the beginning how many members there would ultimately be in the Sailor Team, nor in what order they would join. By the end of the first season and moving into the Black Moon Arc / Sailor Moon R, Sailor Saturn would be the next logical choice. But what is it about Naru that would make her the likely candidate? Well, much like Hotaru who would come much later, Naru’s birthday also coincides with the Capricorn star sign, and thus the planet Saturn.2 There are other interesting fan theories regarding an early debut of a different Sailor Saturn than the one we ultimately ended up with, but that’s a story I’ll have to save for another time. 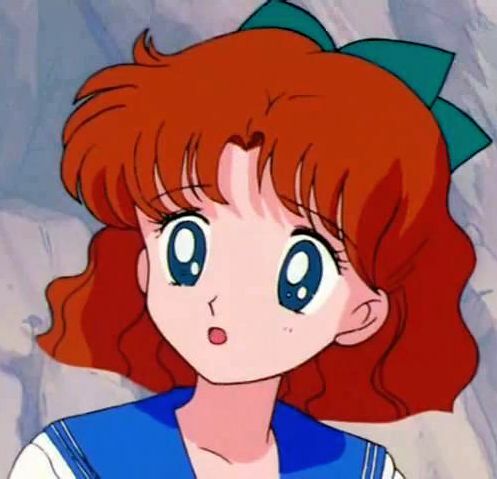 Putting aside for now Naru’s birthday and the possibility that she might have at one time been a candidate Sailor Soldier, there’s one other point about her that lends itself to suggesting that Ms. Osaka was supposed to be a more integral character: that’d be her name. 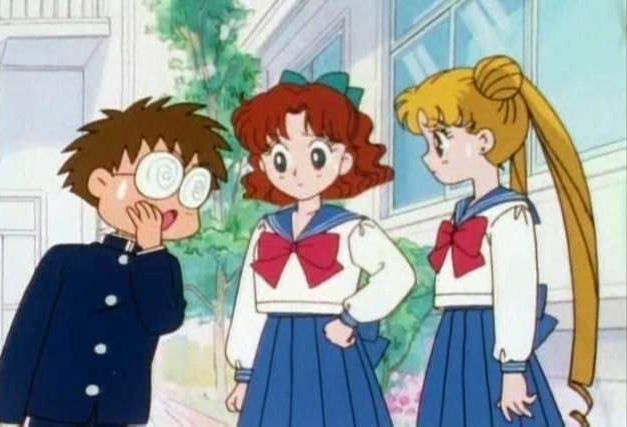 Okay, so it’s not too surprising that we’d go back to analyzing a character’s name in the Sailor Moon universe, but the fact that Naru never actually developed into something deeper – no offense – actually makes the analysis of her name all the more interesting. The Osaka part of her name is the least interesting of the two and, as far as I can tell, is just a way to tie in the “Osa-P” reference for her mother’s shop while allowing Ms. Takeuchi to get in an in-joke at her editor Fumio “Osa-P / Osabu” Osano. But her first name is where it gets interesting. Unfortunately, we can’t really say beyond a shadow of a doubt what Ms. Takeuchi and the anime staff had planned for Naru, but as one of the earliest characters developed for the series and with more background than many others supplemental cast, it certainly seems like she may have been intended to be more involved in Usagi’s misadventures than actually ended up happening. ← Does Usagi’s Family Also Have a Moon Connection? Actually, there’s one interpretation of Naru’s name that does make sense. Remember her counterpart from Sailor V, Hikaru Sorano? Her name, though also written in hiragana, has a more obvious meaning to it (光る = to shine), so by that logic Naru’s name would be derived from 鳴る = to sound. I considered that before, but I’m not 100% sure about the most logical kanji for Naru (which is akin to the problem I had finding a proper kanji for Rei). While you’re right in that 鳴る is a decent candidate, that kanji is used almost explicitly for things like bird calls (chirping, tweeting, etc.) or for the sound of thunder. Basically, sounds emanating from nature. There are several other candidates, such as 成る, which means “to become,” such as “to become an adult” or “to become scared” (though this verb is usually written without kanji). Personally, I have a feeling this is more likely, though what it is that she is to become isn’t clear to me. Becoming Osaka?? Another candidate kanji (though even more rarely used in this context) is 生る, which means “to bear fruit.” I think we can rule this one out. All in all, I still feel strongly that it’s possible Naru was originally considered as a possible future Sailor Soldier (though definitely not one of the original five), but her name definitely falls out of the common naming pattern! Naru-chan looks so beautiful and pure (wavy hair, blue eyes, bows and gemstones). Also the whole damsels in distress role made me think that she might be Neo Queen Serenity. Couldn’t be more wrong ^^’ Thank you for this article. It’s good to share my interest in this character. She really is a great character and friend to Usagi, especially in the first season, so it really makes me sad to see her kinda disappear as the series moved on. 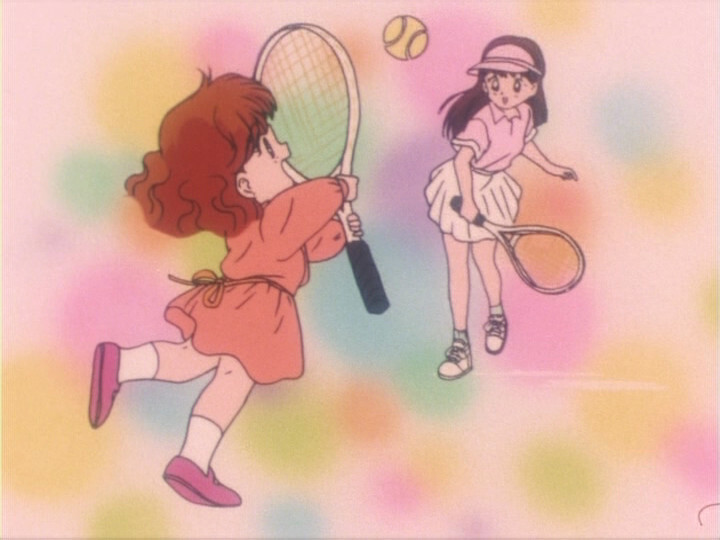 I especially loved the first few episodes of Sailor Moon where Usagi and Naru would just hang out, enter musical competitions, and even join gyms together. I really do wonder if there was more in mind for her character! I always had the initial impression that they were originally planning to do more with Naru, but for whatever reason dropped it. It’s a pity either way. As much as I like the Usagi/Rei dynamic, I don’t think they should have demoted her like that. Especially since she’s known Usagi for longer. She could very easily have fitted in with the rest of the group. Having a non Senshi in on it would have been quite an interesting angle. The finale of Nephrite arc could have led into that. Naru seemed strangely demoted from the series. She was Usagi’s best friend, then all of a sudden Usagi didn’t hang out with her anymore or wasn’t seen interacting with her at all. That’s a bit like Roxy, from Winx Club. A whole season was centered around her, she was even announced as the “seventh Winx fairy”. But she was suddenly downgraded to a mere supporting character the next season. What I really wonder about Naru is why DIC decided to give her that horridly thick Brooklyn accent when they did the English dub. I’m confident that US cartoon companies had a huge book of offensive stereotypes… and tried to make sure they filled every one. Well in the original she did speak with an osaka accent. They probably wanted to mirror that. I guess I never really noticed… did she have a strong, noteworthy Osakan accent? At least in the manga I don’t really notice anything. I remember as a kid I was like Woah a new Sailor has appeared how cool ! Especially when Pluto, Uranus, Neptune and Saturn appeared. I wouldn’t have liked Naru to be a Sailor Soldier though because she has such a boring character design. However it would have been amazing and more realistic had Naru and Umino remained a part of Usagi’s life until the last episode / chapter. Hi very interesting article. I know it is rather common among American fans to make Naru into a Sailor Earth even though Tuxedo Mask is Earth’s Senshi. It is interesting to know that back in the day Japanese fans thought that Naru would be Sailor Saturn because of her Capricorn star sign. Indeed Naru and Hotaru’s birthdays were even close. Naru born in January 1st and Hotaru being born on January 6th. All though please do an article talking about the fan theories about another Sailor Saturn. That would be lovely to read and information not widely known in the Sailor Moon fan community. I’ve just discovered this blog, and I’ve already been hopping from entry to entry for… *checks watch* …about two hours straight. I LOVE these insights and research, especially having studied both Japanese and mythology myself (years ago, now). PLUS, the city of Osaka apparently used to be written with different kanji (I'm on wikipedia, now – help!) that could have been confused with a homophone that could have been read as "anti-samurai," or "samurai rebellion," which could be connected to the Earth's tumultuous relationship with the Moon? I'm stretching, here. (ALSO, this could account for her fading from the storyline as we progress. 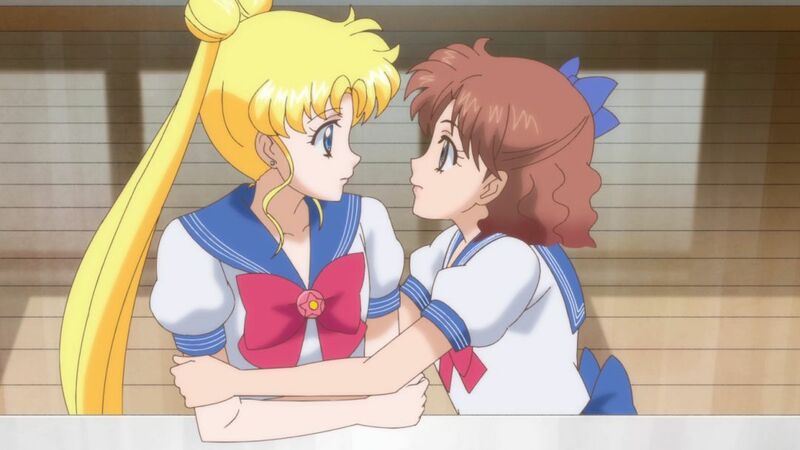 As Sailor Moon's leadership skills grow and her future – and that of Neo Tokyo – become more solid, perhaps Naru really does fade into the background.